British Climber, Tom Ballard has been missing for over a week, the search has been called off. 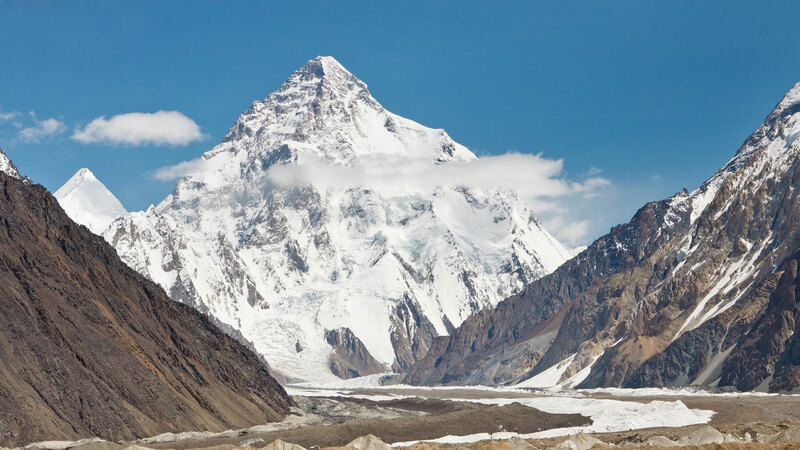 British and italian climbers missing after an avalanche on the mountain k2. - Rescuers and authorities have called off the search, assuming both to be dead. 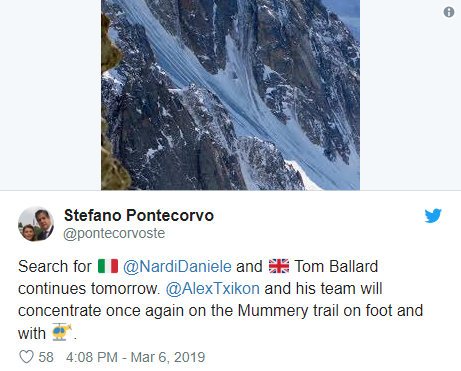 British Tom Ballard, and Italian Daniele Nardi set out on the 22nd February to scale K2 of the Karakoram mountain range in Pakistan and China. Ranked as the 2nd highest mountain in the world after the Himalayan Mount Everest, the climbers last made contact from Nanga Parbat, the ninth highest mountain in the world, and nicknamed the "Killer Mountain" due to the numerous mountaineering deaths that occurred during the mid and early-20th century. They made the contact at approximately 6,300m (20,700ft). Initially accompanied by two Pakistani mountaineers, who later turned back due to a decline in weather conditions, in-which they claimed to be too dangerous to advance any further. Attempts of rescuing the pair has gone ahead using helicopter, drones and ground searches by a Spanish-Pakistani rescue team. Traces of either men have not been found, and the team further lost any hope of finding them. Subsequently, the search attempts have been delayed and called-off due to bad weather and increasing tensions in the region. During the last few days, heavy snowfall has occurred, which has raised fears that the pair may have been perished. The British climber, Tom Ballard is the son of Alison Hargreaves, who was the first woman to scale Mount Everest unaided. 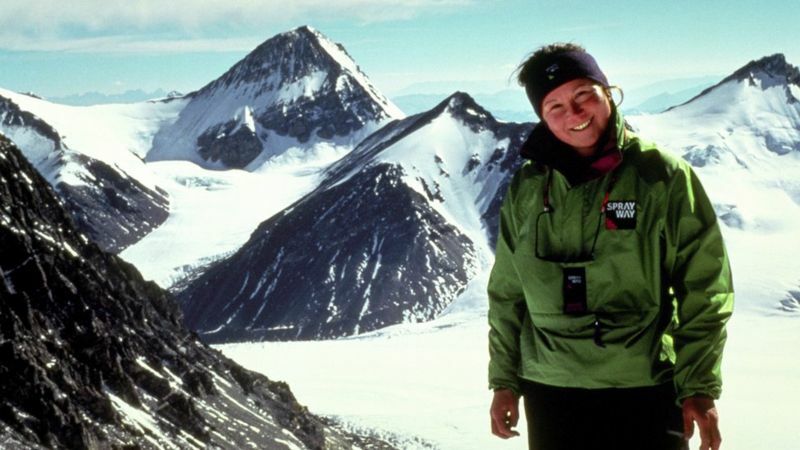 A few months later, she died while climbing K2, at the age of 33. The British and Italian climber pair have been described as the best climbers in the world. Ian Sykes, a close friend of the Ballard family said that Mr Ballard was a "committed climber" who had been making his name in continental Europe. "I know his family are very upset to have this devastating thing to happen and for it to happen twice is extraordinary, both Jim and Katie must be feeling dreadful and all I can do is wish them the best". 142,000 Euros, (£122,000) has been raised to fund the helicopter search team, which costs about 50,000 Euros (£43,000) a day. He further stated, "I assure you no one is risking their lives or any harm," which followed from concerns over the safety of the rescue and search teams. As the search continues tomorrow, we send our hopes to Tom Ballard and Daniele Nardi.